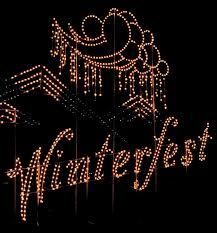 See five million shining lights while you're on a winterfest Trolley Tour of Lights. The heated, enclosed trolley comes complete with a personal tour guide who will share stories about Pigeon Forge's history and famous Winterfest displays. Winterfest Trolley Tour of Lights begins and ends at Patriot Park, so returning to your vehicle isn't a hassle. Tickets can be purchased the day of the tour and reservations are required for groups of 10 or more. With many dates to choose from be sure to make your plans now to experience a Smoky Mountain Winter in the heart of Pigeon Forge. Please note that the Winterfest Trolley Tour of Lights will be running everyday, three times a night in November and December at 6:30 PM, 7:45 PM and 9:00 PM. In January the tours are only on Mondays and Fridays and there must be a minimum of 15 passengers for a tour to depart. With the holiday season really kicking into gear, trolley rides will continue through the month of January, departing at 6:30 p.m. each Saturday (except on December 2, 24 & 25) at the mass transit/trolley center at Ripley’s Aquarium of the Smokies with additional tours at 7:30 and 8:30 p.m. Admission is $5 and be sure to call 865-436-0535 for reservations. The Trolley Ride of Lights is a chance to soak up every last bit of Gatlinburg’s holiday spirit as the trolley winds its way through streets decorated with garlands, wreaths and the occasional elf. The 45-minute tour is completely narrated so that no one will miss that oh so elusive display just around the corner, or the place you keep meaning to drive by, but have simply forgotten. 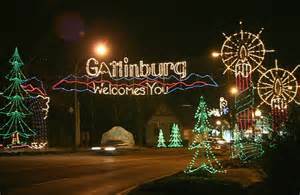 Cruise along Gatlinburg’s River Road taking in the one-of-a-kind LED lighting display. This latest lighting endeavor has a price tag of $1.6 million. You’ll notice newly-designed sections reminiscent of evergreens, winter forests, and romance. Bright lighting displays will align Hwy. 321 as well.